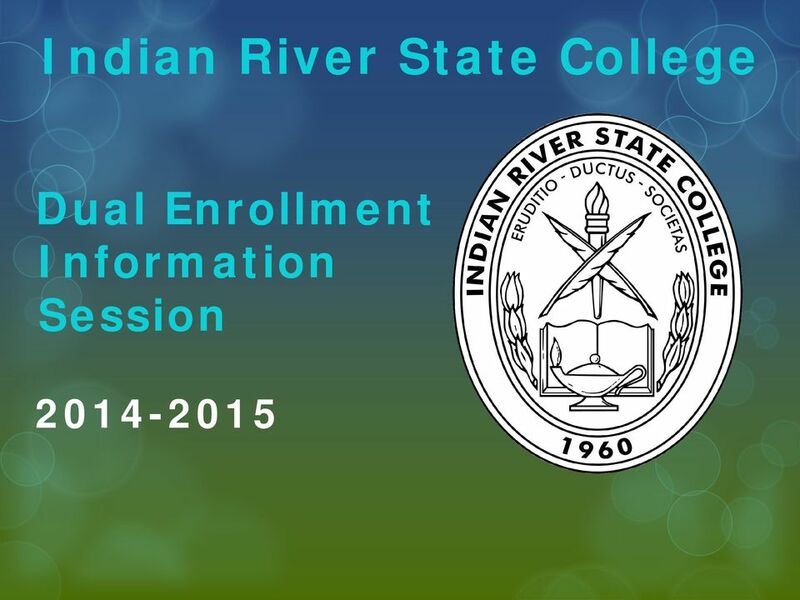 Download "Indian River State College"
2 WHAT IS DUAL ENROLLMENT? 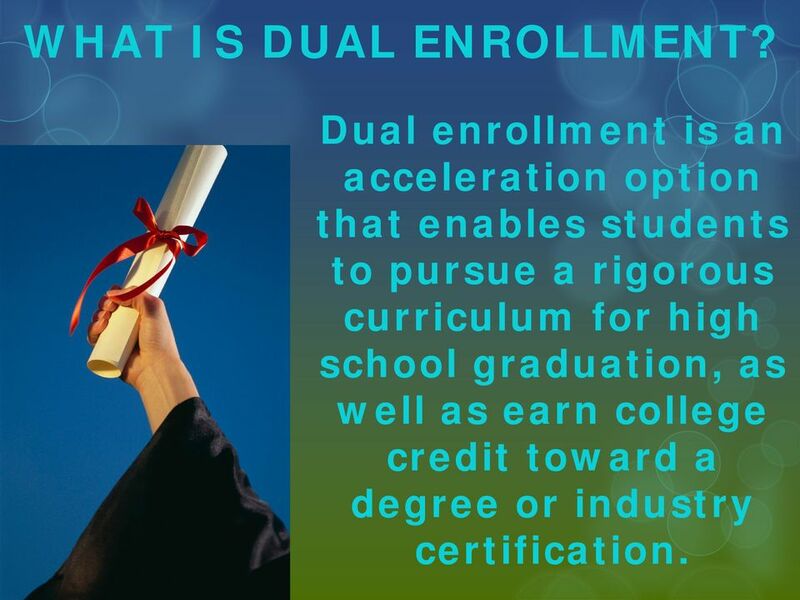 Dual enrollment is an acceleration option that enables students to pursue a rigorous curriculum for high school graduation, as well as earn college credit toward a degree or industry certification. 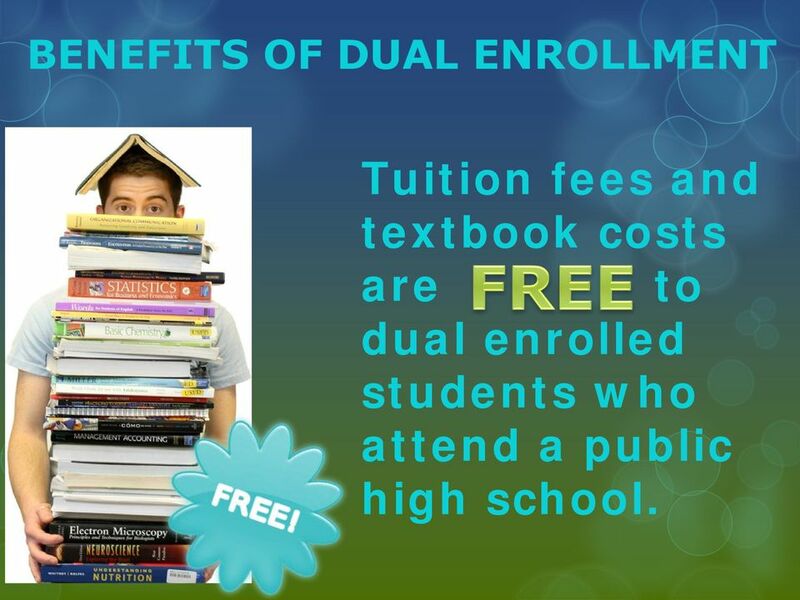 5 Tuition fees and textbook costs are to dual enrolled students who attend a public high school. 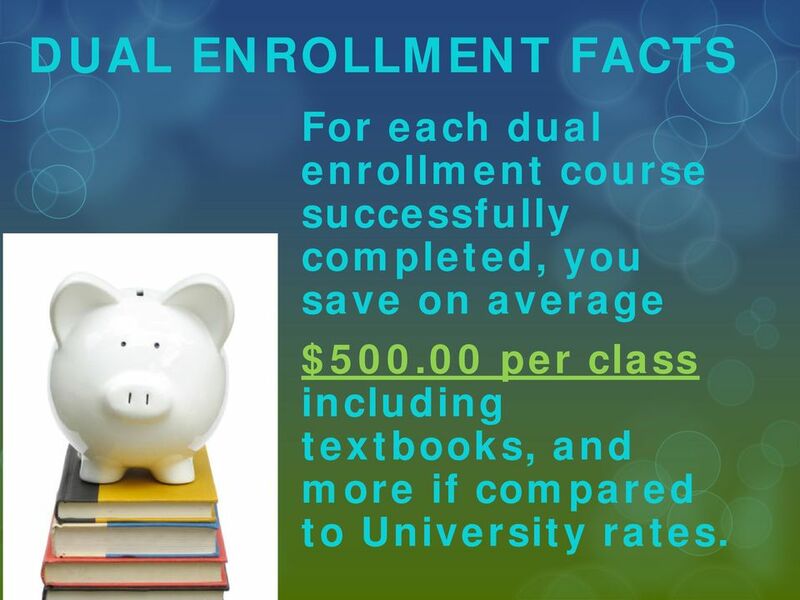 6 DUAL ENROLLMENT FACTS For each dual enrollment course successfully completed, you save on average $ per class including textbooks, and more if compared to University rates. 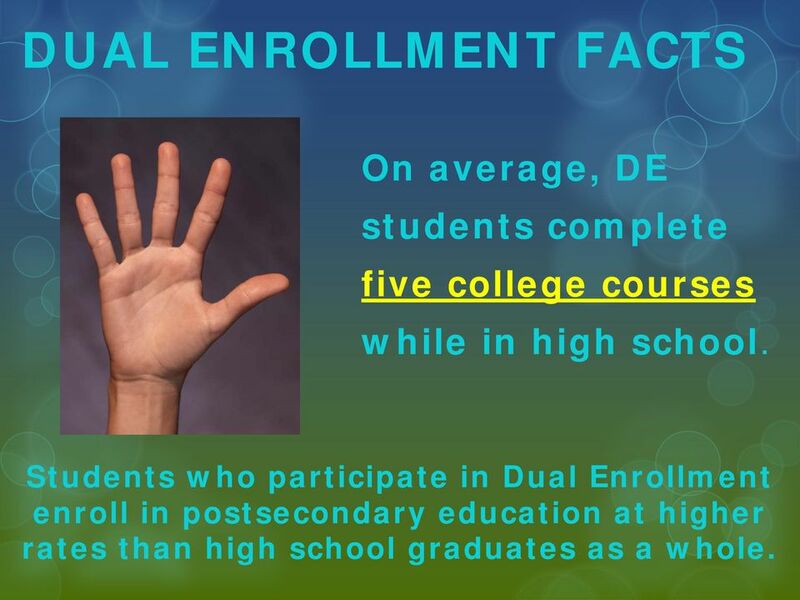 8 DUAL ENROLLMENT FACTS On average, DE students complete five college courses while in high school. 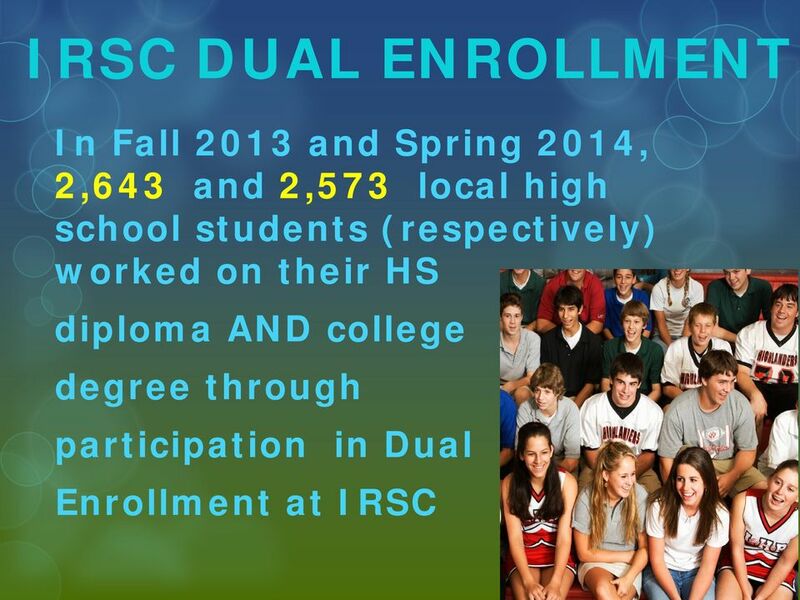 Students who participate in Dual Enrollment enroll in postsecondary education at higher rates than high school graduates as a whole. 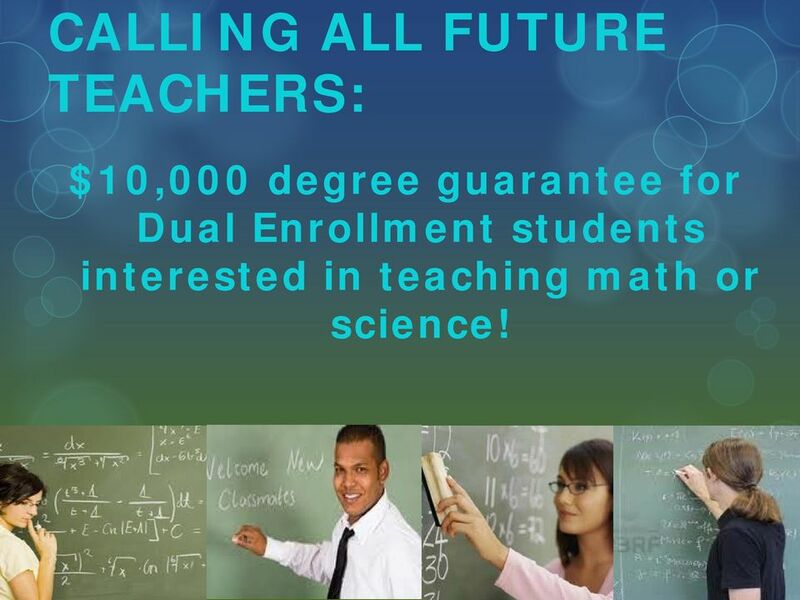 9 CALLING ALL FUTURE TEACHERS: $10,000 degree guarantee for Dual Enrollment students interested in teaching math or science! 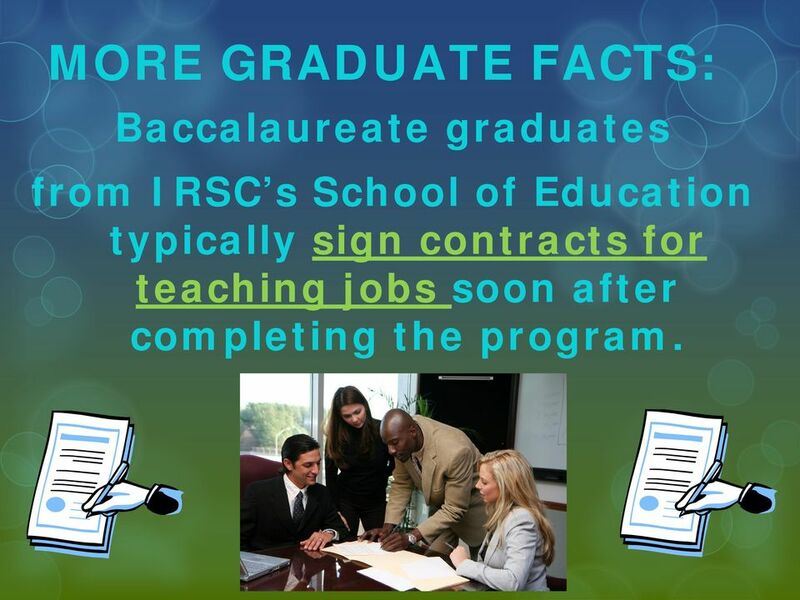 11 MORE GRADUATE FACTS: Baccalaureate graduates from IRSC s School of Education typically sign contracts for teaching jobs soon after completing the program. 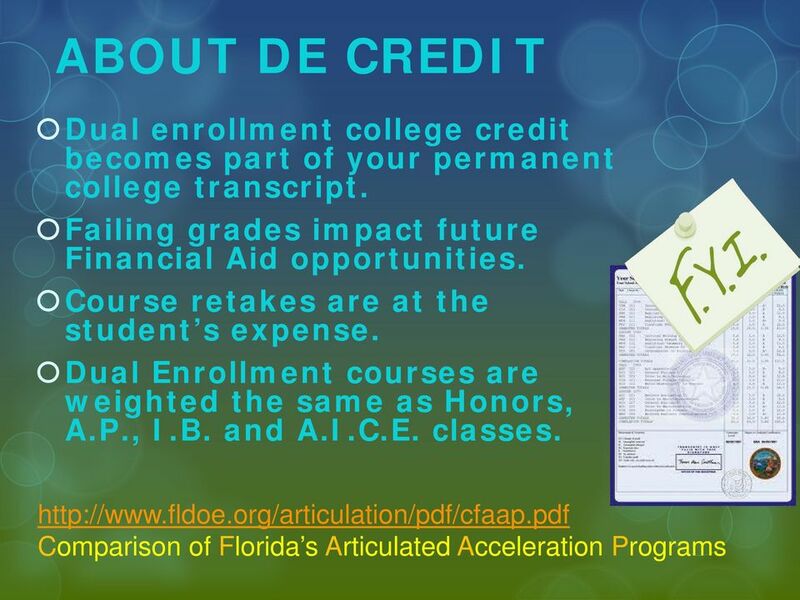 13 COLLEGE STUDENTS Dual Enrollment Students are college students and are expected to: Complete assignments on time or before the work is due. Work independently without reminders from the teacher. 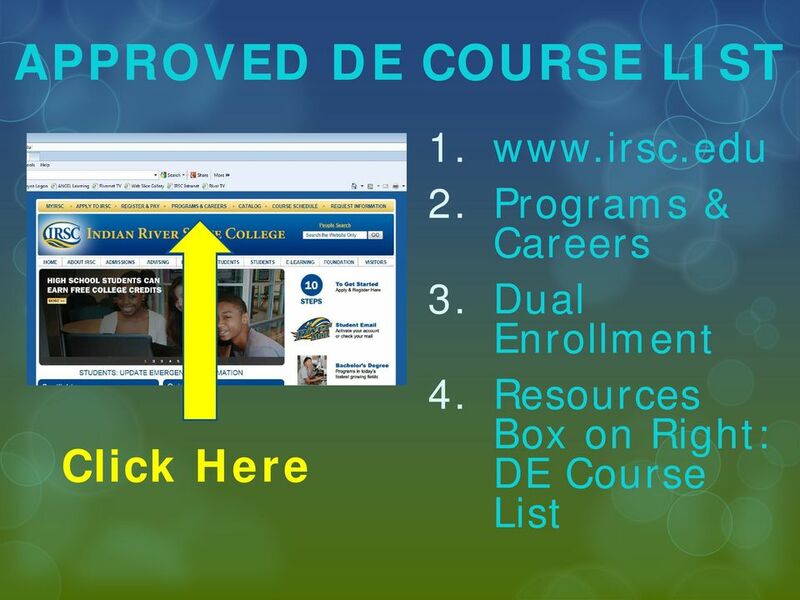 Follow the syllabus. Budget their time well. 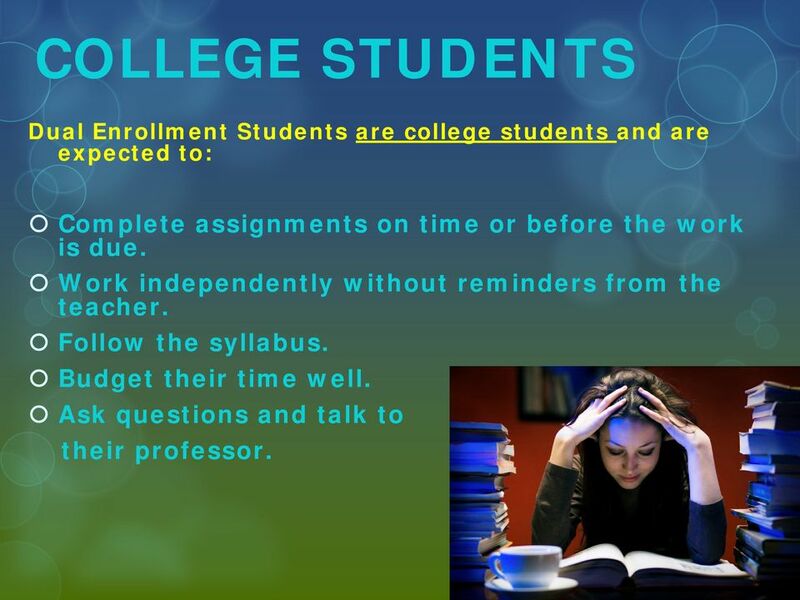 Ask questions and talk to their professor. 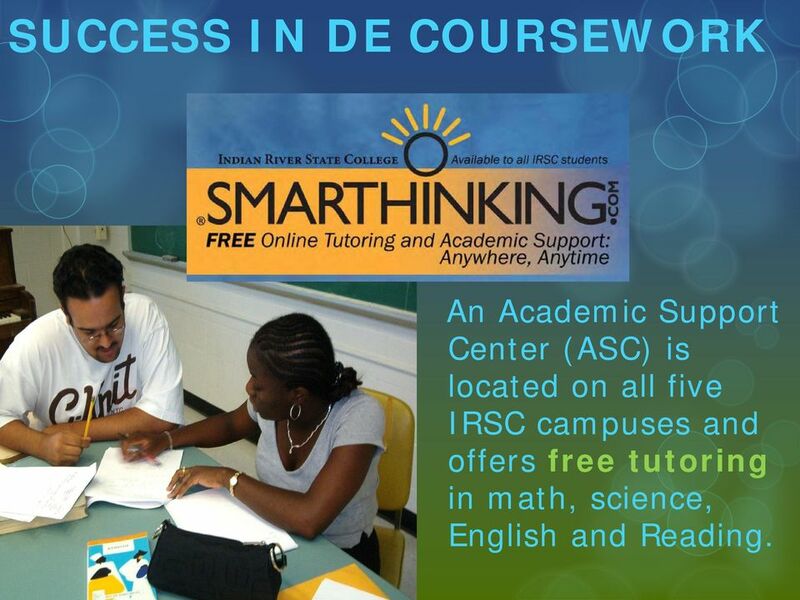 14 SUCCESS IN DE COURSEWORK An Academic Support Center (ASC) is located on all five IRSC campuses and offers free tutoring in math, science, English and Reading. 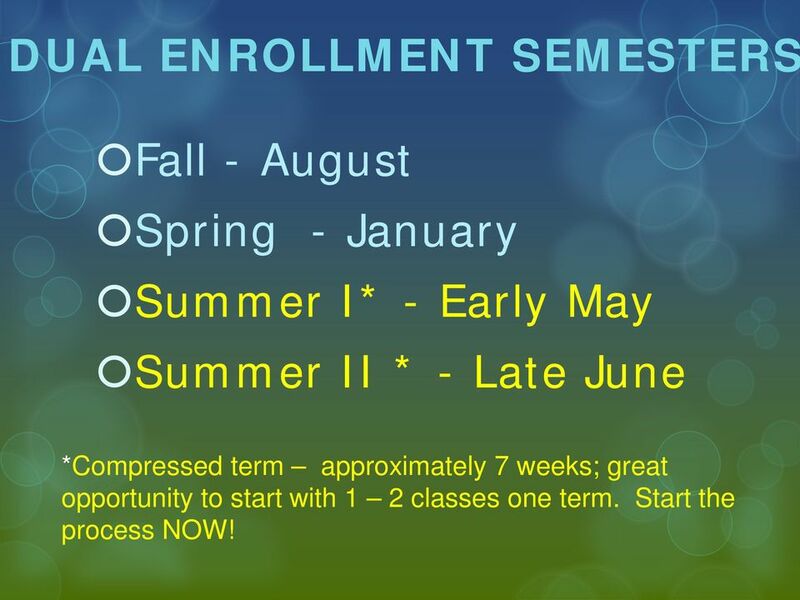 19 DUAL ENROLLMENT SEMESTERS Fall - August Spring - January Summer I* - Early May Summer II * - Late June *Compressed term approximately 7 weeks; great opportunity to start with 1 2 classes one term. Start the process NOW! 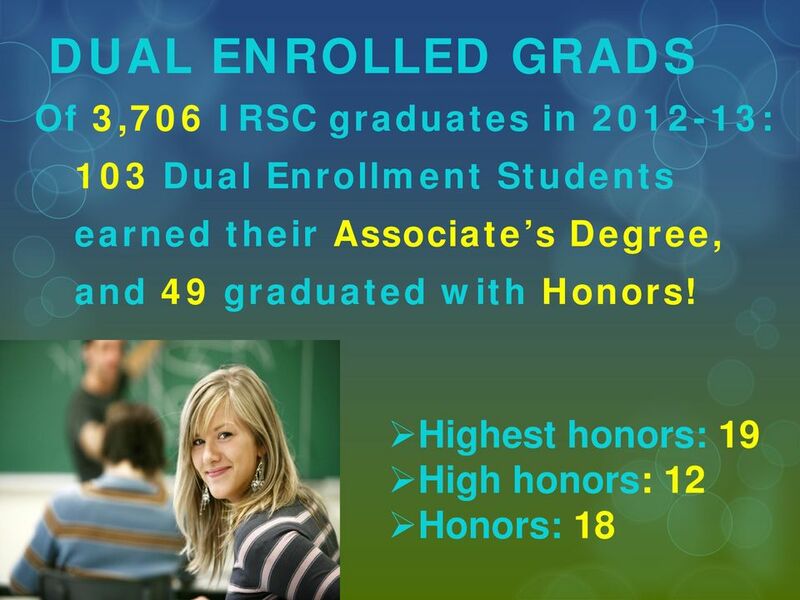 32 Additional Considerations How to get started Scores needed Class selection Available classes Transfer of credits Credit hours and how to spread them Transportation Classes offered on HS campuses Options for Home Schooled and Private school students Summer DE Courses do they count? 34 Questions? 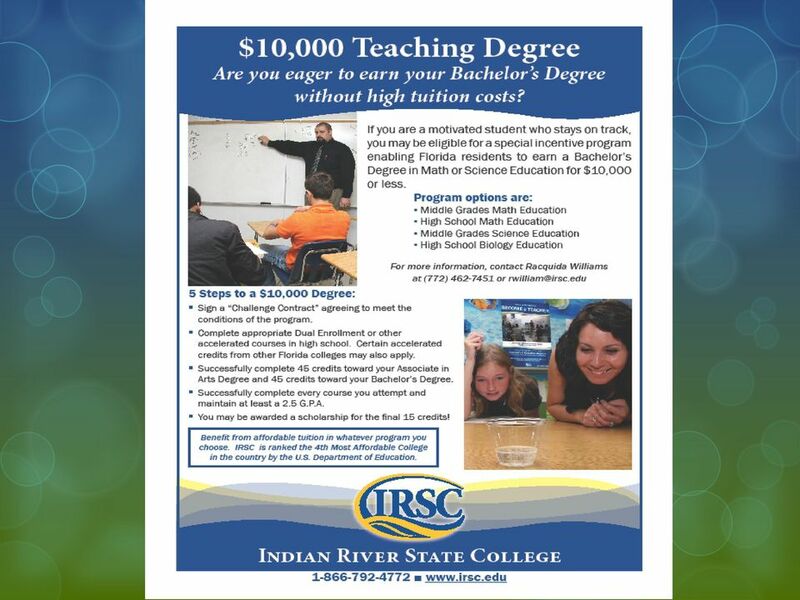 Contact the Fort Pierce Main Campus at if additional DE information is needed. 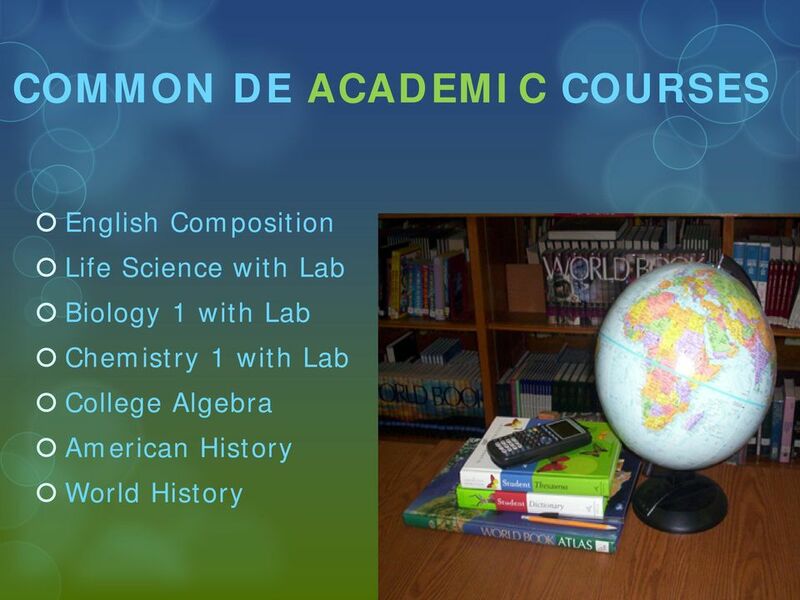 Student Handbook Table of Contents What is dual enrollment? 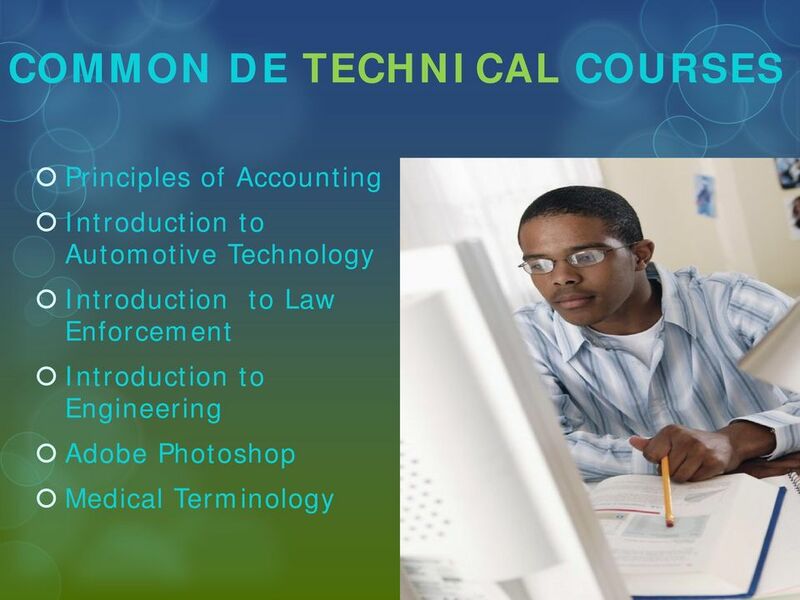 3 Where and when can I take classes? 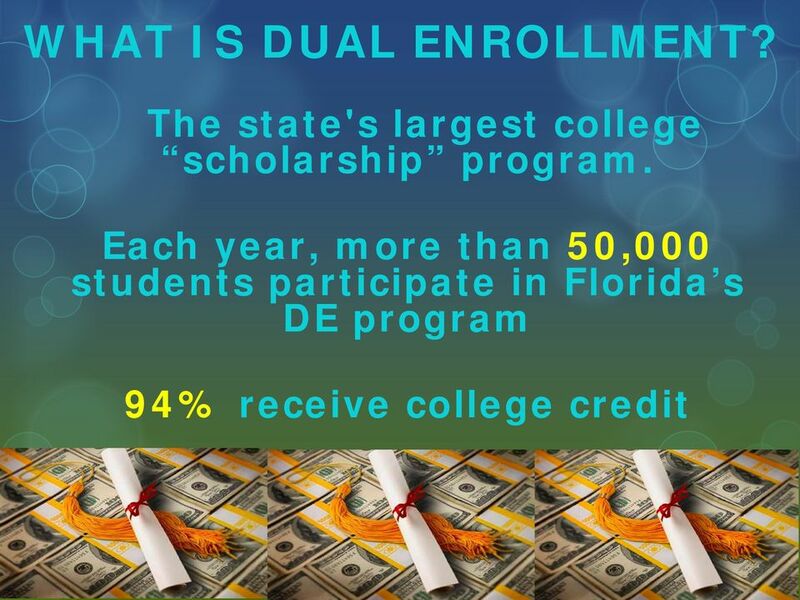 3 What does dual enrollment cost? 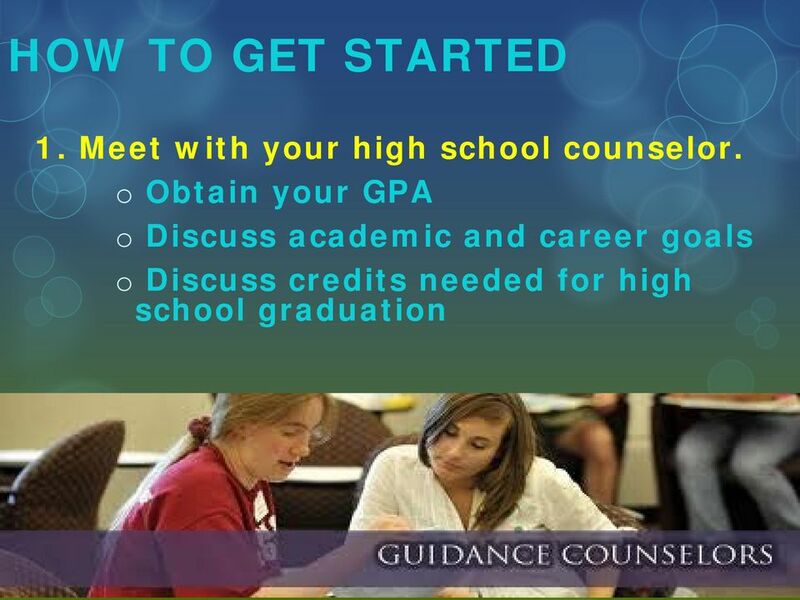 4 How do I qualify for the program? 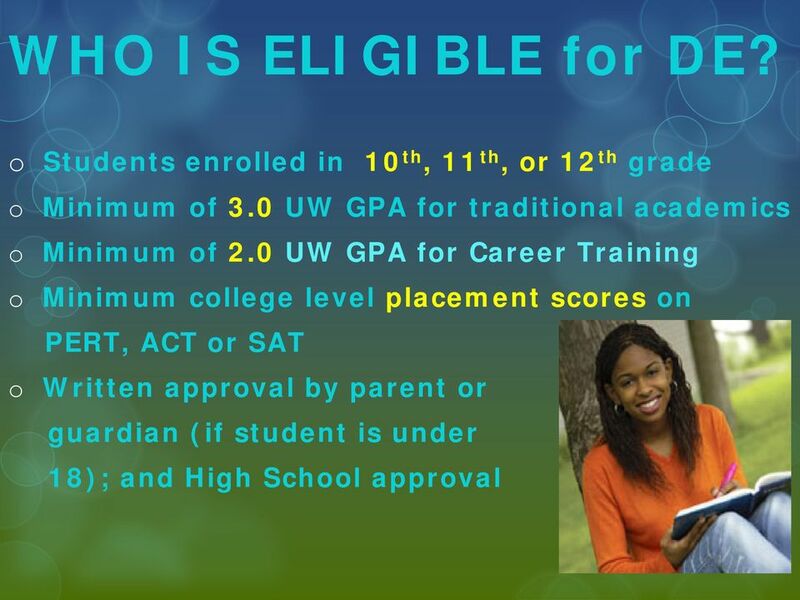 4 How do I obtain placement test scores?